I learned something not long ago. Actually it was revealing. Let me tell you about it. But this day, I didn’t think to bring anything with me. So there I sat at McDonald’s on Blue Lick Road, drinking coffee while watching and waiting for her. But she didn’t show up, nor did she call to tell me why. I was disappointed, hurt, frustrated. Here is the revealing part. I thought of how many times I had left my Lord waiting for me – the One who redeemed me from my debt of sin, paid the ultimate price for my soul, and offered me His friendship. Many times, I made plans to meet Him, then I let something else get in the way, or simply forgot. I have canceled too many appointments or put other things first. Other things. How many times have I let other things get between God and me? I have just started a Bible study by Kelly Minter (remember her from the Ruth study?). The title is No Other Gods. Today’s study got me to thinking about any functional gods I have let become too important in my life. What other things could be more important than my relationship with Jesus? The way that relationship deepens and grows is by spending time with him. The priority of keeping my early morning appointments with my Savior and Lord cannot be stressed enough. Especially as I consider the incredible thought that He looks forward to meeting with me. I do not want to disappoint Him again. Please leave a comment. I enjoy getting to know you when you put your thoughts into words. The precious sisters and I climbed the stairs to the upper room for the last time on Wednesday, completing our study of Ruth, Loss, Love, Legacy. It was a melancholy moment for me. Finishing a project is always a joyous thing. Realizing I won’t be seeing these women in such a setting again is tenderly somber. I remember the women who watched me grow up from a preteen girl to an adult wife and mom at the Dixie Valley Church of God in Louisville, Kentucky. There were Pauline Springer, Lavelle May, Gertrude Eversol, Bessie Davis, Aleen Colvin, Janice Popplewell, Pat Phillips, to name a few. They loved me, supported me, encouraged me, forgave me, modeled Jesus for me, and prayed for me. Some of them have gone to their Heavenly reward. Some “still come scrambling down the church aisle to squeeze the breath out” of me when I return to my childhood home church. I love those women! They probably don’t know how much or how important they were to me, and still are. The memories of their smiles and their love bring warmth to my soul even as I write about them. Now it’s my turn to be part of that select group, the women, to someone else. It might be a piano student, a child from a Vacation Bible School class, or a teen from the youth group. It might be the daughter of a friend or simply a young woman I have met randomly. Whoever she is, she is looking for someone to love her, encourage her, support her, and pray for her. Someone who will be in her cheering section. God is calling me, and you dear sister, to be in the band of the women. It is one way we will leave a legacy. A legacy of love and faith. A legacy that will live long after we do. A legacy that honors God. Sunday morning finds me at Little Flock Baptist Church where my Sweet William and I are members. I love the worship, Pastor Rodney’s sermons, our Sunday School class, and getting to see so many precious Christian brothers and sister. This Sunday, however, I went to first service at 9 am, then slipped out to visit Shepherdsville First Baptist Church, where my son and his family are attending and serving. Travis plays percussion, and my two granddaughters, Elyse and Celeste, occasionally sing with the praise team. Elyse, the elder granddaughter, was going to play the keyboard for the worship songs, then sing a solo for the first time. I did not want to miss it. She was delighted to see that I had come to hear and support her efforts. The day before, I told Elyse that I was her age, 13-years old, when I began to play regularly in our small church. It was that experience as a young girl that set the course of a life of music ministry for me. When it was time for the special song, Worship Minister, Sheila Lamonte, went to the keyboard, and Elyse stood close by at the microphone. After a melodious introduction, Elyse began to sing My Everything. If you will bear with this Grandmother and give me bragging rights for a moment, I will tell you it was beautiful! Her voice was true and clear. She sang with confidence and feeling. I was moved to tears. Do you know the feeling of being part of an experience while your mind goes to another time and place? That happened during Elyse’s song. I thought of my mother who died in 1983. She had an astounding alto voice that bellowed and lifted the rafters. She was anointed to sing, and hearts were touched when she did. Legacy. It is what we leave behind when life is all said and done. My mother blessed others with her gift of music. She traveled to little country churches to sing, and she faithfully served her own church for years. Mother wanted music to be part of my life. She was determined I would have piano lessons and made me (yes, she made me) practice. She encouraged me to play for others though I was a shy, backward child. It was only natural that I took that same path with Travis. He took piano lessons which turned him toward a snare drum in fifth-grade band. It eventually led to his high school’s marching band and the amazing percussionist he is today. 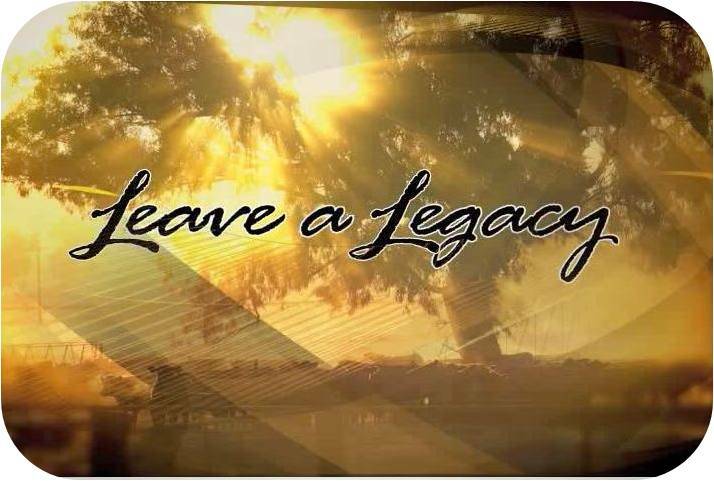 The beauty of my legacy is not just God’s gift of music to my family but that by His mercy we have come under the shadow and refuge of the Almighty, the saving grace of a Savior, the Lord Jesus Christ. The legacy goes on. Gifts from God are honed into skills that are then used to worship the Giver of all good and perfect gifts. The Lord has given us great and precious promises. His Word is filled with them. One of my promises is in Isaiah 44:3b and 4. I believe it and trust God will fulfill it in my family.
. . . I will pour out my Spirit on your offspring, and my blessing on your descendants. They will spring up like grass in a meadow, like poplar trees by flowing streams. Legacy can be a beautiful thing. No matter your background or heritage, a new legacy begins with one individual who choses to follow Jesus and surrenders his life to the glory to God. Chapter 3 of Ruth tells of her trip to the threshing floor. It was night. She was alone. She walked into the unknown, plunging into the darkness in hopes of a sunrise. The threshing floor in ancient Israel was generally on a high place surrounded by a low stone wall. The floor was often where bedrock was exposed. The newly harvested stalks of grain were spread on the stone, then crushed, breaking open the husks. The husks were tossed into the air allowing the breezes to blow and separate the chaff (the part of the stalk not good for food) from the kernels of wheat and barley. This was called winnowing. Until the winnowing process was complete, separation of wheat from chaff, the grain was not ready to provide nourishment to the body. Sounds like a painful process for the wheat. There is a threshing floor experience for each of us, a time when God calls us to turn loose of things that are often familiar yet are hindering us from being all He wants us to be. We cling to those things as if they are necessary for our lives, feeling we simply cannot live without them. The threshing floor, then, becomes a place of separation and also surrender. It is risky to go there, and it is dangerous. It is also necessary. We will not leave the same as we came. The wind may be a breeze, or it may be hurricane gales. It is meant to strip away what is not fruitful in our lives. After all, offering nourishment to a dying world is part of our purpose. I’ve had my threshing floor experiences. God reminded me I was holding on to what I thought was my security, things and relationships, when He wanted me to cling to Him only. As painful as it was, it was a turning point for me. I had nothing left but God, but I found out He was enough. Ruth went to her threshing floor only after she had discarded her widow’s garb, that which had become her identity. She came in humility, nothing in her hand. She came with the intent to lay down her life and her future before Boaz. God asks us to relinquish what we cling to, what we think will bring security. 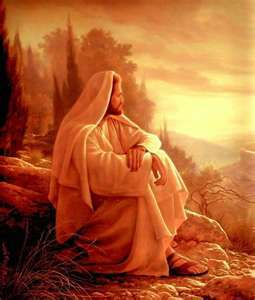 Eventually we find there is no security except in Jesus Christ. He alone has what we are longing for: a hope, a future, and a place of rest. Cele ste, my 9-almost-10-year-old granddaughter, was the first to decide to sell things on our quiet private lane. It was during the summer, and she sold flowers picked from my garden and an opportunity to blow bubbles. I have to give her credit for her efforts. She made $5 that day from kind neighbors who must have felt some compassion for her out in the hot sun. This Saturday, all three of the grandchildren were at our house and wanted to try this selling thing again. I thought it might be a perfect teaching moment. Why not help them understand the art of being an entrepreneur and putting their ideas to work? Celeste had been willing to put aside her $5 in an envelope labeled “business money.” We took the $5 plus some investor money (me being the investor), and we went to the grocery and Good Will to make our purchases. The children picked out several cups, the ingredients for our special hot chocolate mix, and a bag of marshmallows. The three kids excitedly pulled a folding table and chairs from the garage. I had a fall-looking tablecloth they spread over the ancient card table. They put our old wagon with a potted mum in it out front for decoration. And I must not forget to mention the signs. Lots of colored construction paper signs, taped to green sticks, were scattered along the road proclaiming their intentions to sell someone a cup of hot cocoa to go. The whole thing wore me out. But the grandchildren had fun. There wasn’t much traffic on our lane Saturday plus a strong wind blew in that made it necessary to close up shop early. A good friend saved the day when she came and bought several cups and extra mix. The day ended with a little profit and another envelope marked “business money” ready for the next venture. Thoughts are already swirling about what to sell next. What’s the point of this story, other than to tell you something about my adorable grandchildren and the lengths this “Grammy” will go to have fun with them? It’s about work. Studying Ruth chapter 2 this week reminded me that work is not a bad thing. It was not a curse put on Adam and Eve in the garden of Eden after they disobeyed God. Adam had already been given the task of taking care of the garden and of naming the animals way before he fell into the habit of sin. So what is it about work that bothers us so much? Is it because we are not happy in our work? Is it because we don’t like those with whom we have to work? Is it because we are not paid what we think we are worth? I guess the list goes on and on. I’ll get to the point. Ruth’s work ethic was admirable despite that she was gleaning in someone’s field. It didn’t seem to matter to Ruth. Her goal was to provide for Naomi and herself, and she was willing to do whatever was necessary. Looking at Ruth’s story from my vantage point and seeing how it turned out, I think Ruth’s first day at her work was one thing that caught Boaz’s attention. She seemed to stand out in the crowd of workers that day. Close beside her stood Ruth, the daughter-in-law who had proclaimed her love and determined faithfulness at the beginning of the journey to Bethlehem. Ruth had suffered loss herself. She too experienced the death of her husband, and she was childless after years of marriage. Her heart was broken like Naomi’s. But it is apparent that she was in this thing with Naomi to the death. As the story unfolds, we will see that Ruth is the source of Naomi’s life changing direction. Naomi will be restored. Her heart will be full again. We can feel completely devastated, drained of our very lifeblood, and yes, empty after a tremendous loss. It is normal to experience that kind of emotion. But don’t miss the fact that God brings life from death. He is the very source of Life and Resurrection. If we stay too long in the empty, bitterness of our own pain, we may not see our own resurrection though it stands as close as Ruth was to Naomi. Lift your eyes from your weeping, dear sister. No one denies you have a right to cry. Just acknowledge that there is One standing close by you. Consider Jesus. Weeping endures for the night, but joy comes in the morning. There is still life in your future. Look for the sunrise!